It's relatively recently that I discovered that porcupines are rodents. I had no idea! I'd always assumed they were related to badgers or something. Anyway, the Crested Porcupine comes from Italy, North Africa and sub-Saharan Africa. It seems that they skip by the Saharan desert and I don't blame them for a moment. I do the same because the heat would melt all my chocolate, they're probably more concerned with getting enough roots and bulbs to eat. They also eat the odd insect or mammal and they even gnaw on bones for calcium and to control their teeth, but porcupine can't live on bones alone, no matter how many of them might be in the desert. But what of those quills? Well, there are little ones about the head that can be raised up into a crest, hence the name. This, coupled with raising up the longer quills on its latter half can make them look bigger and hopefully scare threats away. If it doesn't work, they stamp their feet and shake the quills, producing a rattling sound. I really hope that works, because if it doesn't the Crested Porcupine will simply charge backwards and attempt to stab any assailants in the face. This porcupine is only 80 cm long, yet this attack has been known to kill lions. Consider my eyebrows raised. 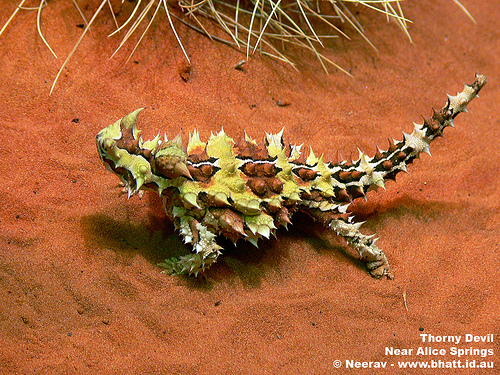 In contrast to the Crested Porcupine, the Thorny Devil rather likes the desert. They are found in sandy, dry areas of western Australia, spending each day chomping down thousands of ants into their 20 cm long frame. They're certainly thorny, covered utterly, head to tail in thorns and spikes like some demonic beast of burden. Two large thorns that sprout from their head complete the picture. They also have a thorny lump sticking up from the neck which acts as a false head for predators to aim at if they seriously want to. What on Earth would want to, though? Maybe it's some kind of initiation ritual? Between the thorns are grooves that attract and hold water, meaning that this Devil can quench his thirst every night as dew condenses. Not just a scary face! The Black Sea Urchin appears to be little more than a ball of pain. Maybe even PAIN itself, given life and left to very slowly roam coral reefs of the Caribbean and western Atlantic. Who would've thought that PAIN itself hides in crevices to escape the power of the Sun (actually that sounds about right) and eats algae. It probably isn't really hiding though, not really. While most sea urchins have spines about 3 cm long at most, the Black Sea Urchin's can reach a foot in length. 30 centimetres of purest "ouch!" Hiding in crevices means that all you can see is a whole load of black spikes sticking out. It seems to work pretty well, too. The Black Sea Urchin is found in huge numbers within its range and they are the primary controller of algae. The Ocotillo comes from southwestern United States and north Mexico. They are also known as Desert Coral and Vine Cactus because its a long, thin, thorny, desert plant. It often doesn't look like it's alive, though. An odd arrangement of dead sticks. Dead sticks covered in thorns and reaching as much as 10 metres tall, that's what it looks like. But then it rains and each and every stick acquires a miraculous covering of tiny green leaves and then the tips bloom into red flowers for hummingbirds and bees. Then it dries up and returns to its deathlike appearance. Till next time, Life. Till next time. King Crabs aren't crabs! It's ridiculous isn't it? How can the King not even be one of the things he's the king of? You know what? Now that I think about it, that has traditionally been the case for kings. Probably why we don't have so many of them left any more. As if in protest, I must admit that I know absolutely nothing about the California King Crab. It might even be called the Spiny King Crab, or maybe more than one gets called that. Whatever, look at this magnificently spiky King! Such splendour! Such sophistication! Am I supposed to curtsey? Hey, wait a minute! Have we come so far just to start again from the beginning? Nope. The Lesser Hedgehog Tenrec isn't closely related to hedgehogs at all and it's found only on the island of Madagascar. Remember the Golden Mole? The South African burrowing creature that looks like a mole, lives like a mole, but isn't really a mole? Yeh, the Lesser Hedgehog Tenrec is more closely related to them than they are to hedgehogs. Or moles, in fact. Not only do they walk about but it looks like they can also climb trees. 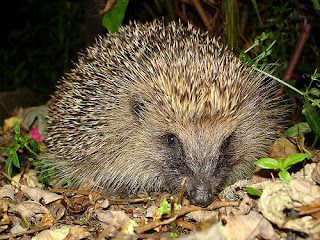 They have a similarly insect heavy diet as hedgehogs and will also roll up into a ball when they're scared. They're becoming quite popular as exotic pets, partly because people reckon they're incredibly cute. Are all those spikes seen as a delightful little blanket or something? There's a whole genus of Thorny Oysters called Spondylus, containing several dozen of these interesting molluscs. They are also known as Spiny Oysters and these thorns and spines come in a wide variety of shapes, sizes and densities. In life, Thorny Oysters also have a wonderfully colourful mantle in that scary shell. They are found in the Caribbean, where they cement themselves to rocks and filter out tiny morsels of food using their gills. The one in the picture looks a bit like a coconut. Coconuts are already hard enough to get into, thank you very much. No need to rub it in with a load of massive spikes. 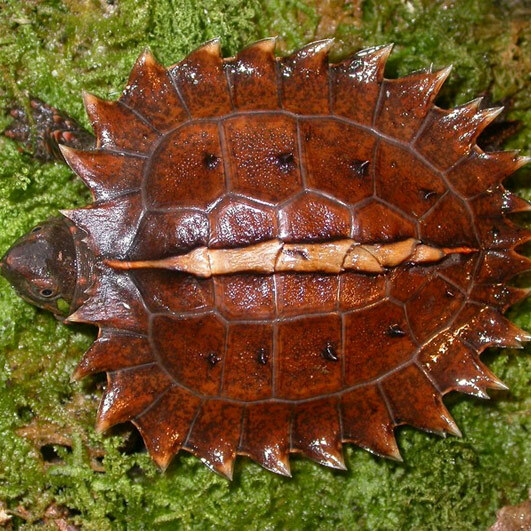 The Spiny Turtle has a peculiarly spiky edge to its shell which also lends it another name - the Cog-Wheel Turtle. They also have a rather punk rocking strip of spikes running along the top of their carapace. These features are thought to protect youngsters from snakes in the mountainous, southeast Asian rivers they call home. 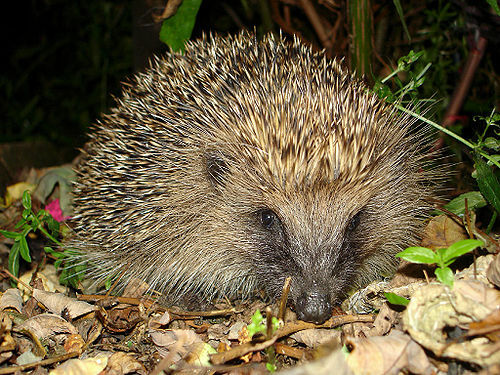 Adults eventually reach a length of about 20 centimetres, by which time the spikes are largely worn down and almost entirely absent. Not only are they big enough to be safe from being swallowed by a snake, but like many punks they have probably found that being covered in spikes is not great for getting an office job. Oh well. 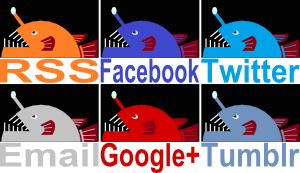 i always enjoy your commentary as much as the information on these fascinating critters. that turtle is beautiful! Although I love and cherish turtles, I feel oddly tempted to throw that little guy like a frisbee. I read that if you get a sea urchin quill stuck in you, it's nearly impossible to get it out. They're very brittle so if you pull on them they'll crack apart and then you'll have a bunch of quill shrapnel stuck in you. It seems the best way to remove a quill is to smack it with a shoe or a rock till it breaks into pieces small enough for your body to absorb on its own. I know what you mean about the turtle, it even looks like mahogany or something. The sea urchin thing sounds horrible! "Absorb it"? Yuck! I suppose you're trying to get it to be like a load of tiny splinters, which the body seems pretty good at dealing with eventually... still pretty nasty. Hehehe! I guess every spike has a silver lining. Which is good since silver has antibacterial properties. We have Porcupine here, and I love them! Cool! Sounds like you've never been attacked by them either, which is good. All of these spiny creatures makes you realize how effective it must be defensively. We have hoards of porcupines in this area which can lead to a large vet bill if your dog runs loose. Loved the lesser hedgehog, an entirely new species for me! Oooooo, ouch! Sounds like those dogs had better be careful! Those tenrecs are interesting little creatures. They're one of those weird, island animals, like lemurs, but not nearly as well known.